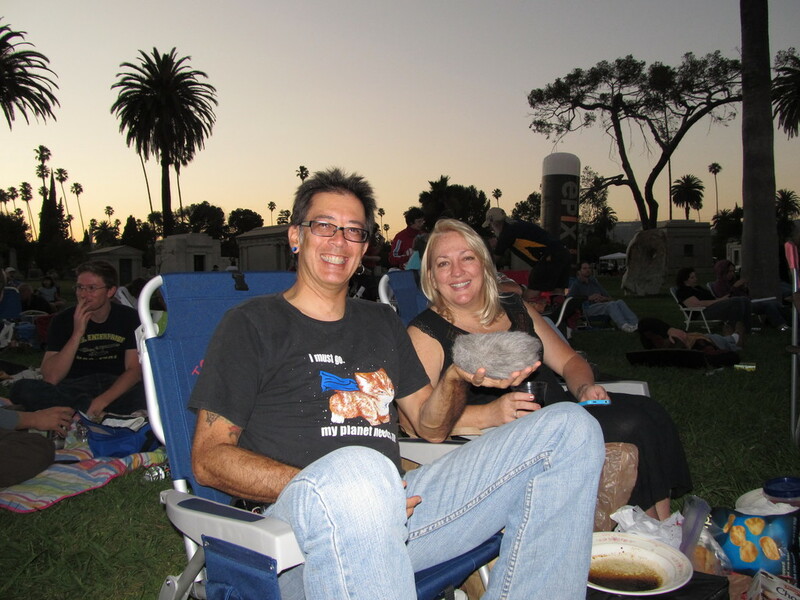 Tonight, Kathleen and I went over to Hollywood Forever for a special screening of “The Captains“. This is a documentary by William Shatner, where he goes to meet and interview all of the actors who have played starship captains in all the incarnations of “Star Trek“. It was a chance for him to confront and embrace what is surely his legacy, and to talk with the others and share their feelings on their participation in “Star Trek”, which will likely be the one thing they will all be remembered best for having done. 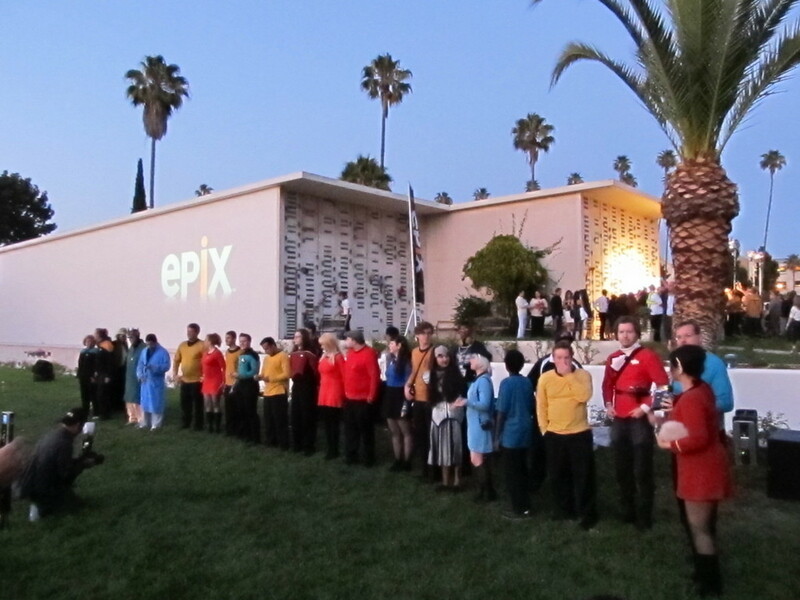 As one would expect, there were lots of fans there in “Star Trek” costumes. I don’t have a costume, but I brought along my tribble. 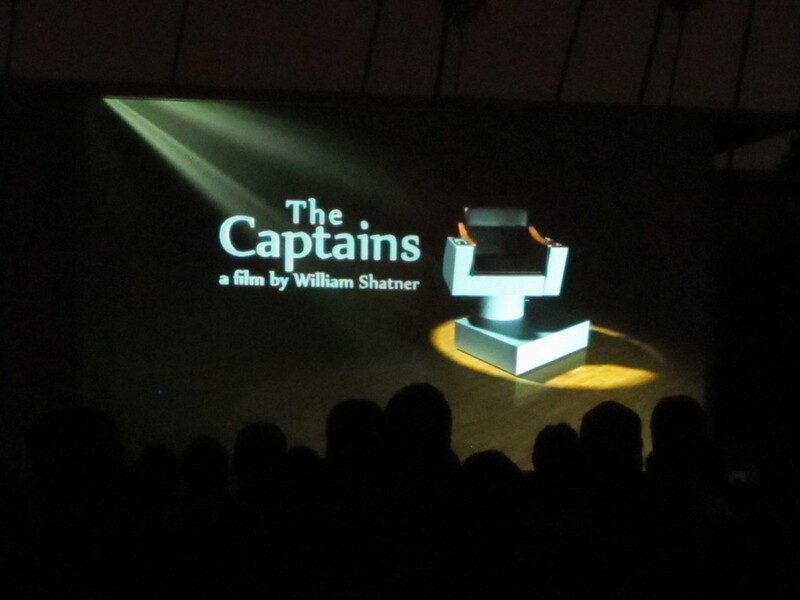 And each incarnation of the show and each captain had its own set of fans. Even after all these years, it’s still an amazing thing that it took on a life of its own and became such a pervasive part of our culture. 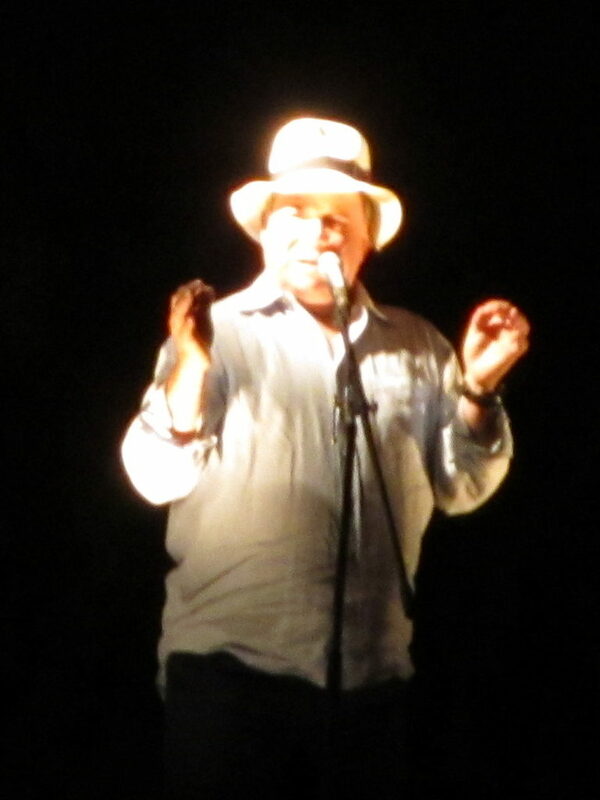 William Shatner was there to introduce the film. 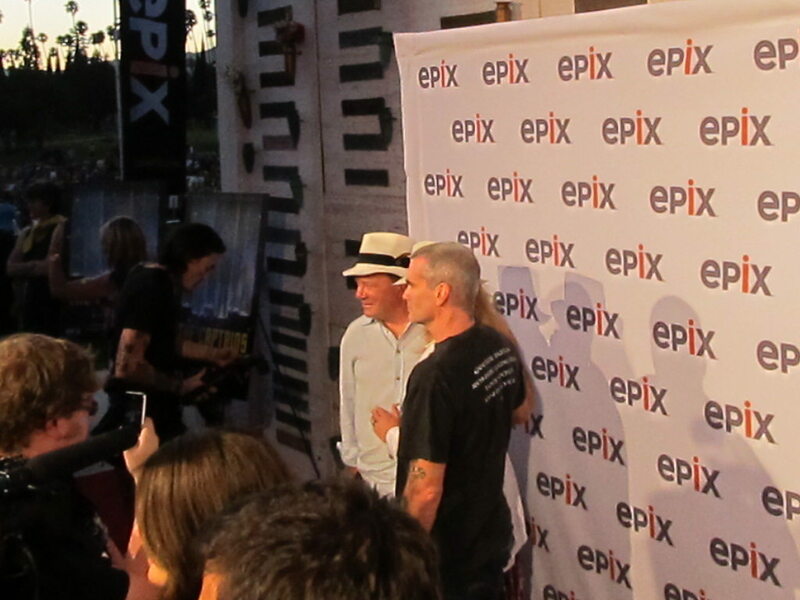 Beforehand, I saw him in the middle of a little scrum of photographer, along with Henry Rollins. (WTF? Henry Rollins? What’s he doing here?) In his introduction to the film, Shatner spoke of how strange it was to be introducing this film at the cemetery in Hollywood. Looking over the back wall, we could see the sound stage where they filmed the original “Star Trek”, nearly 50 years ago. He talked about how he originally came to the part of Captain Kirk, and how nobody really thought the show would amount to much in the long run. And his having to come to terms with the fact that that one role has in many ways come to define his life. Apparently, it’s been an interesting journey. The film itself was very entertaining. The other captains all came into it with at least a bit more warning that they were doing something that would be career-defining, since they all came along after “Star Trek” had become a worldwide phenomenon. Each one had a slightly different take on how their character should work, and hearing their reminiscences was a lot of fun. In the end, Shatner came to terms with his legacy, which was the main reason he made this film. It was a lot of fun, and I highly recommend it.